Roaring is one of Tyne's favourite things to do at the moment. 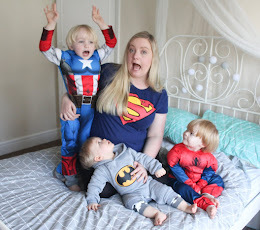 We've been practising animal noises a lot since he turned 1, and although he has a fair few of them well rehearsed roaring is without a doubt his favourite! 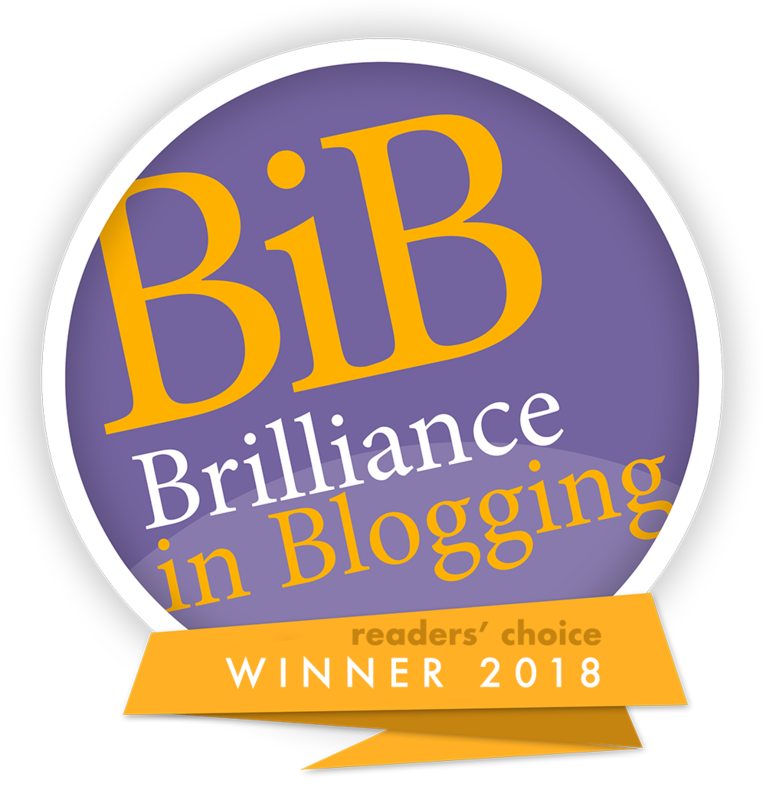 So when the opportunity to review the Henry Hugglemonster Roar Back presented itself, I knew Tyne would be well up to the job! When Henry arrived, I decided to give the package to Tyne and let him tear straight into it....I like to see his reaction upon opening a parcel as I feel it's a great help to reviewing toys....I can tell from the look his eyes when he first sees a toy how impressed he is or isn't. He was moving a lot so the picture quality here is awful, but I had to include it as it displays his excitement at his first glance at Henry so well! Henry is a very colourful cuddly toy...his bright yellow and blue fur make him very visually pleasing, and he is very soft and huggable! 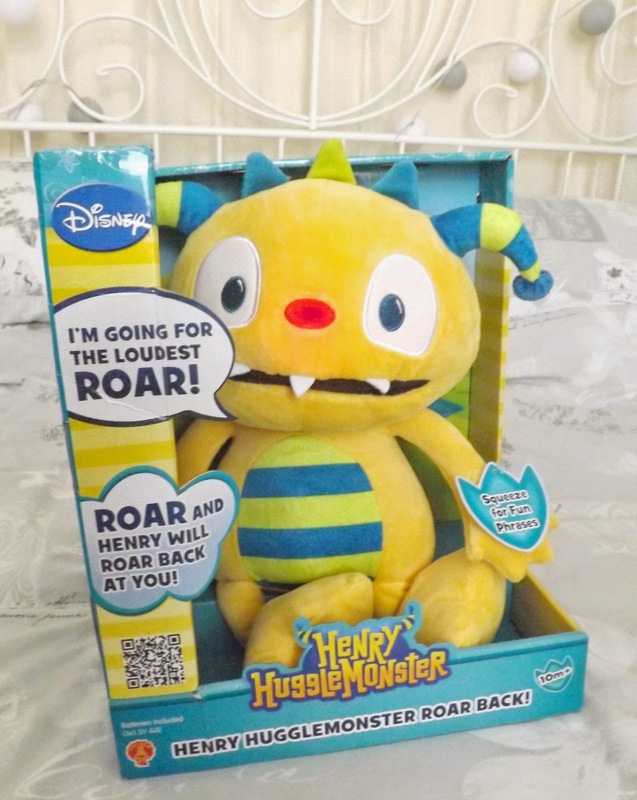 You press his left hand to hear a selection of 10 phrases from the Henry Hugglemonster TV show, or press his right hand to have a "Roar" competition....you give your best roar and Henry roars back! I expected this function to be an automatic "roar" of Henry's own, but actually it's a record and playback feature....so your own roar is played back in Henry's voice. This is great as it means you can say anything to Henry and he repeats back to you in his own voice. Tyne loves this function, and spends ages sitting with Henry babbling away....he seems to think they are having a proper conversation! Very cute! 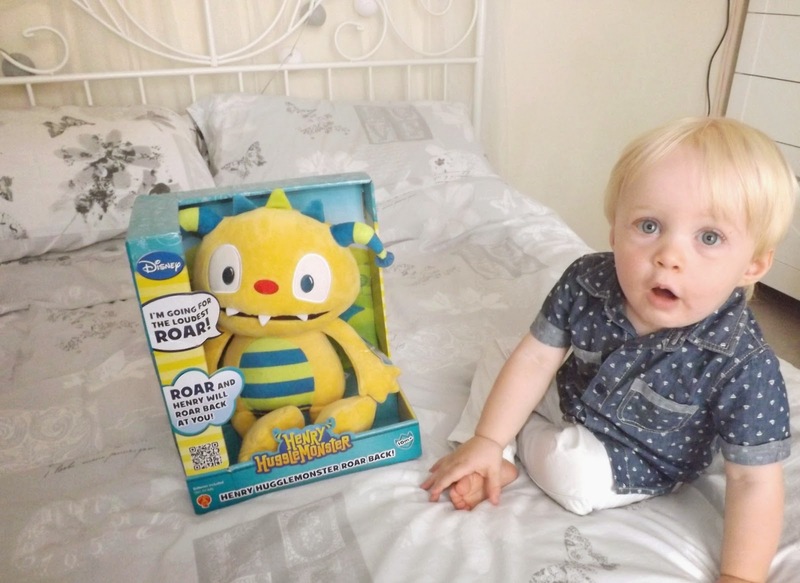 Finally someone who talks his language and loves to roar as much as he does! 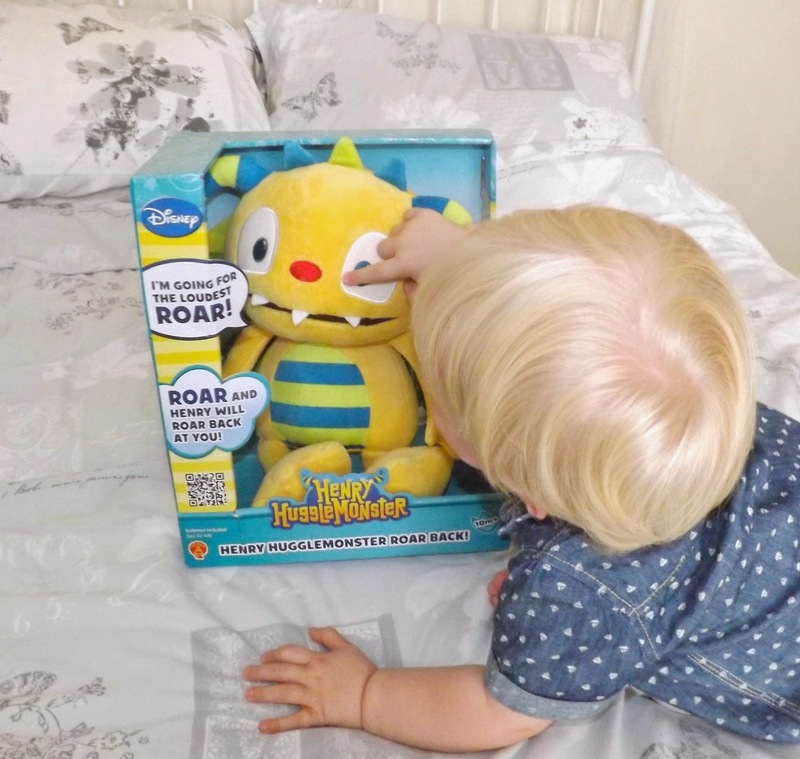 Henry Hugglemonster Roar Back is suitable for children aged 10 months + - I would say the age range is appropriate as although Tyne is enjoying it a lot at 16 months I feel a younger baby would benefit from it just as much. My 3 year old niece is also a big fan, so I think it would appeal across quite a wide age range...particularly to fans of the show! Tyne has made a good friend in Henry and I think he'll be sticking around for a while!